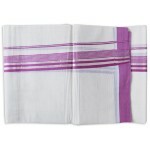 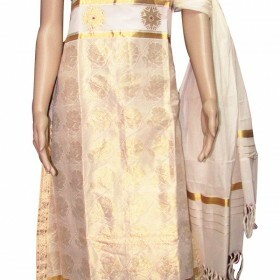 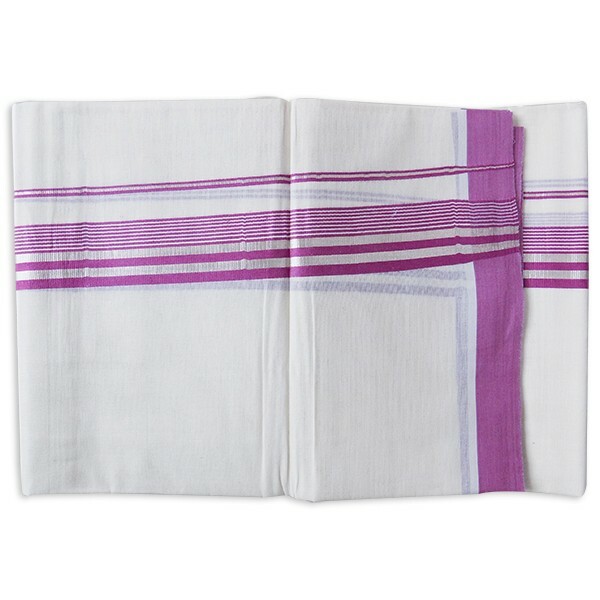 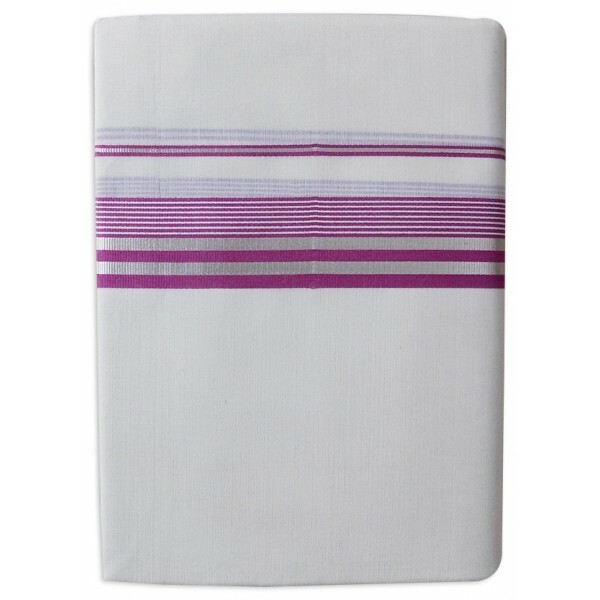 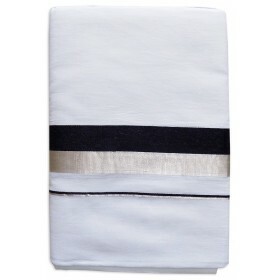 The cotton Kerala double mundu is a traditional custom of mens.it is off white colour with rose and silver stripe border horizontally. 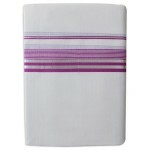 And plain rose border on the both sides which make it more attractive. 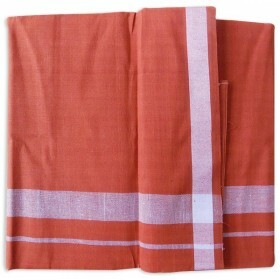 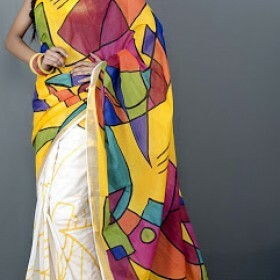 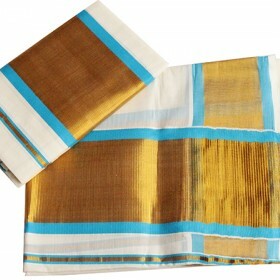 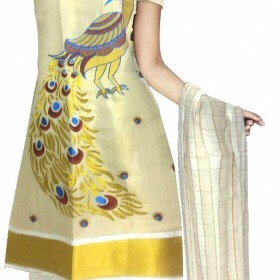 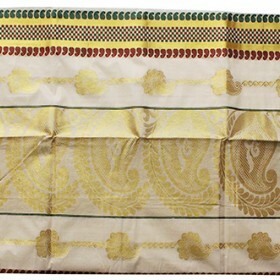 This is a nice collection of double mundu can be used for all traditional festivals. 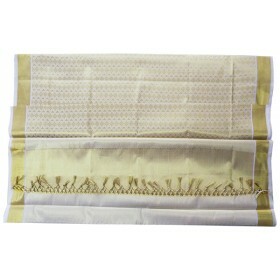 You can present this to your loved one for showing how much you care them.